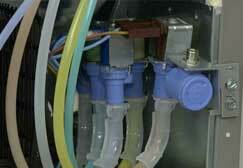 Recently we got a call about a refrigerator repair in Bend, Oregon. A lady called us asking if we can help with her icemaker making only tiny cubes instead of large once. She had a party coming up, so we needed to get to her as soon as possible. That is why one of our refrigerator repair in Bend experts was immediately scheduled to go to her house. Our technicians are all factory trained and certified so we knew that we could fix this LG refrigerator in no time at all. Our appliance repair technician Ivan grabbed all the tools and equipment needed and was on his way to help. We can help anyone with any appliance repair needs. When ice maker is giving you tiny cubes, it usually means that your water supply is wholly or partially blocked. Sometimes also the water pressure is low, and it does not push water as fast as it needs to go. So, the water slows down and freezes. But thankfully we at Oregon Appliance Repair can easily find the solution to this problem. 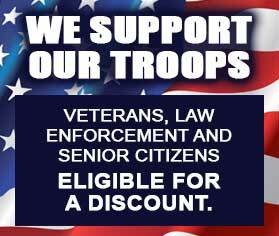 All you have to do is call one of our Bend locations at 541-948-8835. Within few hours our skilled refrigerator in Bend, Oregon technician was on the way to help our client with her broken icemaker. The first thing he did was to examine her refrigerator and determine what the problem is. Our appliance repair tech first checked inlet tube for ice. This tube can easily get plugged and that results in water pressure being low. But in this particular instance, the inlet tube was fine. The second thing he did was to check “saddle” valve. This “saddle” valve connect most icemakers in refrigerators to the water supply. The problem with this particular refrigerator part is that it can easily get clogged. In particular the needle hole. But luckily the blockage in this needle hole is very easy to clean. Not everybody can find this spot though. 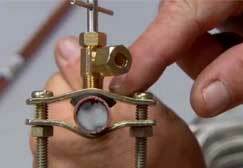 Most often you need a professional appliance repairman to do this. Our top appliance repair professionals have spent years in order to find problems just like this and to fix them fast. But in this particular case, the “saddle” valve was clearly visible and easy to find. Unfortunately, it was not what was giving the problem to this ice maker. That is why our refrigerator repair in Bend specialist went to the third possible problem that might have happened. It is “inlet” valve. This valve turns the water on and off in an ice maker. We have determined that water supply is excellent and that it is the “inlet” valve that is defective. It must have been damaged from the constant use. Our skilled refrigerator in Bend expert was able to locate “inlet valve” in his truck because we often bring the most useful parts with us to every job. In fact, the refrigerator parts we carry are always good quality and well priced. We go to the manufacturer of LG refrigerator to get those part, and if we don’t have it with us, we can always order it for you. After the “inlet” valve was expertly installed, our tech also checked that it was working. He ran the water over a bucket and only after he was sure that everything is ok did he finally push the refrigerator back. We always check every appliance before handing it over to the customer. We make sure it is working correctly and is safe to use. Our company is number one when it comes to appliance repair in Bend. The customer was pleased to see that his freezer is working again. It only took about half an hour and was convenient and fast. And most importantly he can be sure that his refrigerator will work for a long time without giving him any trouble. 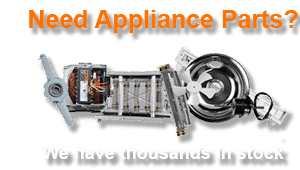 We do appliance repair in Bend as well as appliance repair in Portland. Our professional technicians work on all brands and models of appliances. For example Asko, Bertazonni, Bosch, Dacor, DCS, Electrolux, Fisher&Paykel, Frigidaire, GE, Jenn-Air, KitchenAid, La Cornue, LG, Liebherr, Marvel, Miele, Perlick, Samsung, Siemens, Sub-Zero, Thermador, Traulsen, True, Viking, Whirlpool, Wolf and many more. We are just a phone call away from the whole of central Oregon. Please call us at 541-948-8835 in Bend and 503-488-5869 in Portland. Or you can always f fill out our short contact form.